Today is a big day when we talk about Famous People Born on May 28. Many actors, actress and singers have a birthday today and we have made a choice on a few popular faces from celebrity world. Read short and interesting bios about your favorite people from jet-set bellow. Enjoy this selection and find out some personal info about these stars. 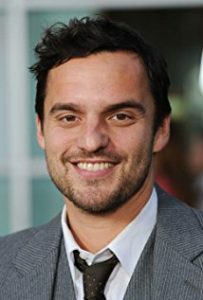 Jake Johnson is a famous American actor, comedian and director, mostly known for playing Nick Miller in popular TV series on FOX, New Girl. He was born on May 28, 1978. Besides New Girl, that made a blast, he’s also known for his roles in Jurassic Park, Safety Not Guaranteed and The Mummy. He is married to a beautiful painter, Erin Payne, and has 3 and a half years old twins with her. He is also a member of The Interstate 5 Tennis Association. Jake Johnsons’ height is 5’ 10’’ (1.78m) and weighs 169lbs (77kg). Kylie Minogue is one of the most popular Australian-British singers of today. She wasborn on May 28,1968, and many call her The Princess of POP. Besides her sparkling singing career, she is also an actress. Kylie’s acting career began early, but it was her role as “Charlene” in the Australian soap, Neighbors(1985) that made her a star. When it comes to her singing, it was quite a surprise, as for Kylie, as for the world. Her most popular songs are “Can’t Get You Out Of My Head”,”All The Lovers”, “Timebomb”, “Get outta my way” and other. Her single “Slow” become the most added track to U.S. radio in its first week of release. One interesting fact is that she has her own lingerie brand called “Love Kylie”. 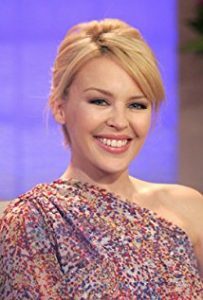 When it comes to her measurements, Kylie Minogue’s height is 5’ (152cm) and she weighs 102lbs (46kg). 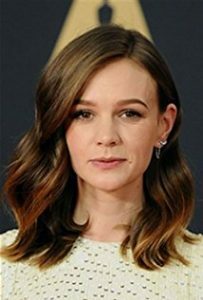 Carey Mulligan is a famous British actress, born on May 28, 1985 in London, England. Her first major appearance was playing Kitty Bennet in Pride and Prejustice (2005) alongside Keira Knightley. She is also known for her roles in Never Let Me Go, An Education, Sissy and Suffragette. She was voted Best Guest Actress by Doctor Who Magazine readers for Doctor Hu: Blink. Mulligan developed her interest in acting at the age of six. Carey Mulligan’s height is 5’ 7’’ (1.7m) and she weighs 119lbs(54kg).